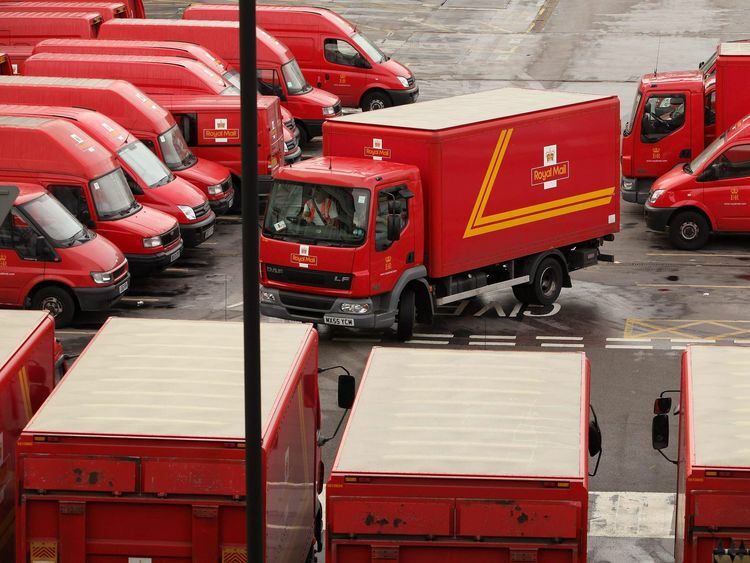 Royal Mail has been fined a record ?50m by the communications regulator "for a serious breach of competition law". OFCOM said the postal giant abused its dominant position by discriminating against its only major competitor delivering letters. The hefty financial penalty follows an investigation into a complaint made to OFCOM by Whistl - one of Royal Mail's wholesale customers.The complaint was made after Royal Mail introduced price increases to its wholesale customers' contracts in early 2014.At the time, Ofcom said Whistl was expanding its business to compete directly with Royal Mail by delivering business letters - known as "bulk mail" - to addresses in various parts of the UK.It was "the first company to challenge Royal Mail's monopoly in the large-scale delivery of bulk mail", Ofcom said.The price increases meant that any of Royal Mail's wholesale customers seeking to compete with it by delivering letters in some parts of the country, as Whistl was, would have to pay higher prices in the remaining areas - where it used Royal Mail for delivery. After it found out about these new prices, Whistl suspended its plans to extend delivery services to new parts of the UK.OFCOM said its investigation found Royal Mail's actions amounted to "anti-competitive discrimination against customers, such as Whistl, who sought to deliver bulk mail".Jonathan Oxley, OFCOM's competition director, said: "Royal Mail broke the law by abusing its dominant position in bulk mail delivery. "All companies must play by the rules. "Royal Mail's behaviour was unacceptable and it denied postal users the potential benefits that come from effective competition. "Royal Mail said it was "very disappointed" by the fine and would be appealing against OFCOM's decision, claiming its price changes were "never implemented or paid".The firm said in a statement: "Royal Mail strongly refutes any suggestion that it has acted in breach of the Competition Act and considers that the decision is without merit and fundamentally flawed. "The company will now lodge an appeal with the Competition Appeal Tribunal within the next two months. "No fine is payable until the appeals process is exhausted. "Whistl said it may seek compensation from the firm.It said: "We have to review the OFCOM findings in detail and establish the level of damages we can seek from Royal Mail. "Initial advice is that Royal Mail is potentially liable to pay compensation for the significant damage that was caused to Whistl's business, in addition to the fine imposed by Ofcom." Royal Mail said it would "defend itself vigorously against any such potential claims". "No damages claims are payable until the appeals process is exhausted. We are confident that Ofcom's decision will be overturned," it added.